Lee started climbing nearly 20 years ago with his uncle. His uncle was a climbing guide and was very much into the traditional style of climbing. Lee embraced this at the time and didn’t look too favourably towards sport climbing until he later realised how much fun it was. For Lee, sport climbing felt like an extension of the gymnastics he’d done for several years prior to climbing. The athletic, technical and psychological aspects really appealed. 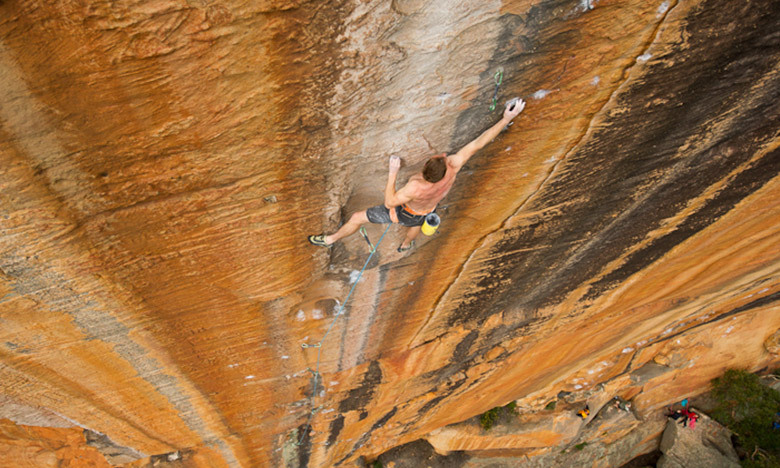 Lee began slowly working his way through a lot of the classic hard routes in Australia and also began putting up his own. 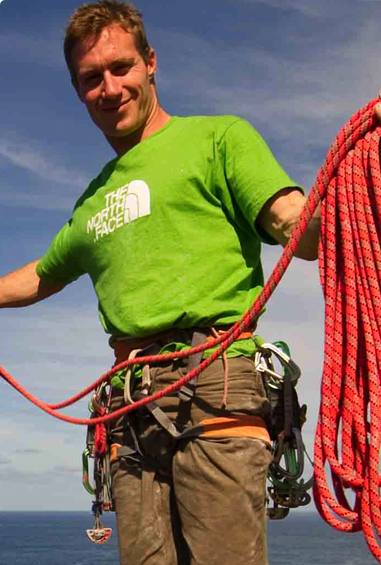 Slowly, the trad climbing that he was introduced to became intriguing once again and the idea of combining the strength and athleticism of sport climbing with this adventurous side of climbing lead me to travelling to some bigger places like Yosemite and Patagonia. 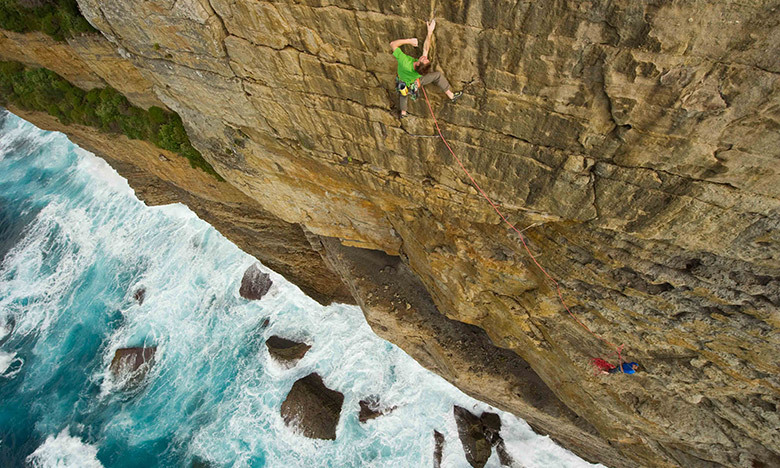 These days he enjoys a mix of climbing, usually sport climbing and putting up new routes near my home in the Blue Mountains and then travelling further afield a few times a year for other adventures. Three things you always pack? Being sneaky on my feet. Favourite destination for your sport? Favourite piece of history in your sport? Hermann Buhl’s first ascent of Nanga Parbat which he did solo, without supplemental oxygen and with a standing bivi close to the summit in 1953! Anyone trying hard and giving something a go for no other reason than to have fun. 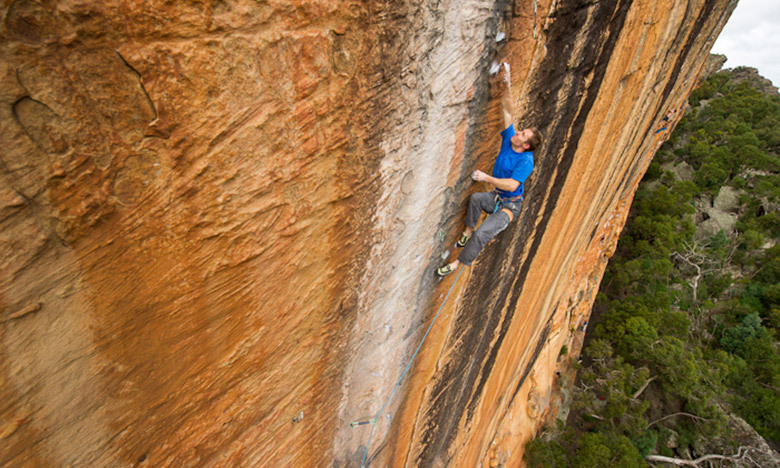 Too many other fun first ascents in the Blue Mountains and around Australia!